Has View Inc. and its electrochromic window glass solved the cost challenge that has long stymied this innovative building efficiency technology? Corning (NYSE: GLW), the 160-year-old glass giant, must believe it has -- as it just led a $60 million funding round in the startup. Other investors in the round include Khosla Ventures, General Electric, Sigma Partners, and NanoDimension. Previous investors include DBL Ventures, The Westly Group, Reinet Investments, and GE Energy Financial Services. The firm has raised a total of $176.5 million in venture capital and debt as well as a $40 million loan and $4 million grant from the state of Mississippi. The startup, founded in 2007 with roots in technology developed at Lawrence Berkeley National Laboratory, employs a ceramic coating applied to glass via physical vapor deposition and a second glass pane. 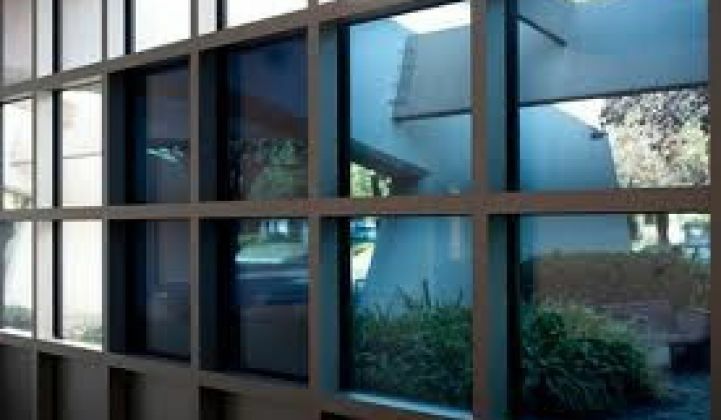 View's (formerly Soladigm) electrochromic glass changes its opacity under different electrical conditions, allowing control over hot afternoon glare or the ability to let warming winter sun in. Corning and View also announced a strategic development agreement to advance View’s dynamic glass technology. The firm claims that In a typical commercial installation, annual HVAC and lighting energy consumption is reduced by 20 percent, while HVAC peak load is reduced by 25 percent. Dr. Rao Mulpuri, CEO of View, told GTM on Monday that in addition to saving energy and money, the glass "fundamentally enhances user experience in buildings." According to the CEO, benefits include uninterrupted views, natural light, occupant comfort, and intelligent control. The product is sold through downstream glass channels. Mulpuri said, "Architects specify; glaziers install." The CEO also suggested that "in many cases, the reduced HVAC capex and elimination of blinds, etc., pay off the incremental cost." The windows are wired to each other and connect to a central panel with control via Wi-Fi and through the building management system. Target customers include owner-occupied buildings: corporate healthcare, education, hospitality, and government, according to the CEO. “While dynamic glass has been in development for decades, we believe View’s unique approach will finally bring this technology into the mainstream. We believe the precise surface attainable through our fusion glass process, combined with View’s leading expertise in dynamic glass technology, will help us develop an innovative glass that will make dynamic windows a bigger part of exterior architectural applications," said Martin J. Curran, EVP at Corning, in a release. The company has 5-foot-by-10-foot windows in production at its Olive Branch, Mississippi factory, according to the CEO. View had also partnered with glass giant Guardian Industries. Partnership is key in the building material market -- one of View's competitors, VC-funded Sage Electrochromics, was acquired by French glass giant Saint-Gobain for an undisclosed sum last year. 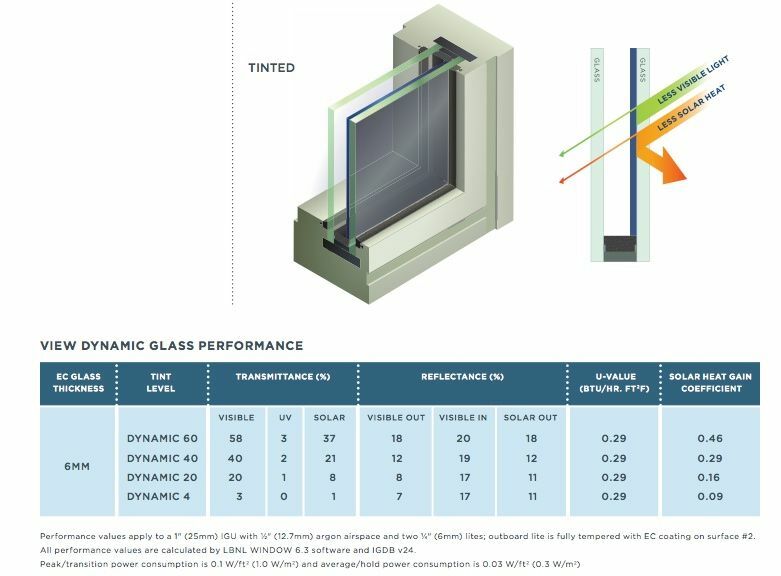 View's dynamic glass competes against advanced passive window coatings and doing nothing -- so the economics have to be real in terms of payback. Reliability, complexity, and cost have held back electrochromics in the past. If View's glass truly addresses those concerns, architects could start to channel this glass into the potentially enormous market for building facades and skylights. The cleantech sector may never see investment intensity like it did in 2008 ($7.5 billion in 350 deals), but there's still activity -- as well as changing VC investment models. Take a look at Greentech Media's Next Wave VC investment event and let us hear from you if you'd like to participate or attend.